Click Here to view Gal’s portfolio. Click Here to view Katarina’s full portfolio. 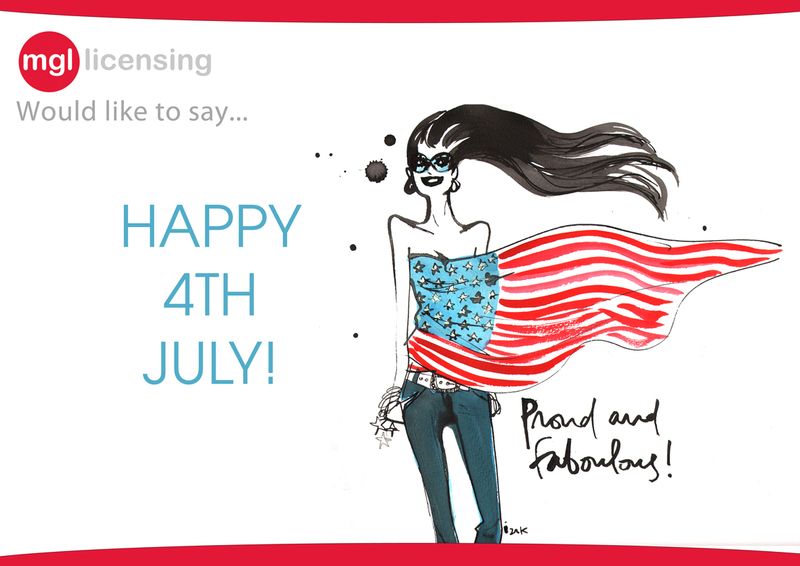 Happy 4th July from MGL Licensing! Click Here to view Lily & Val’s full portfolio. 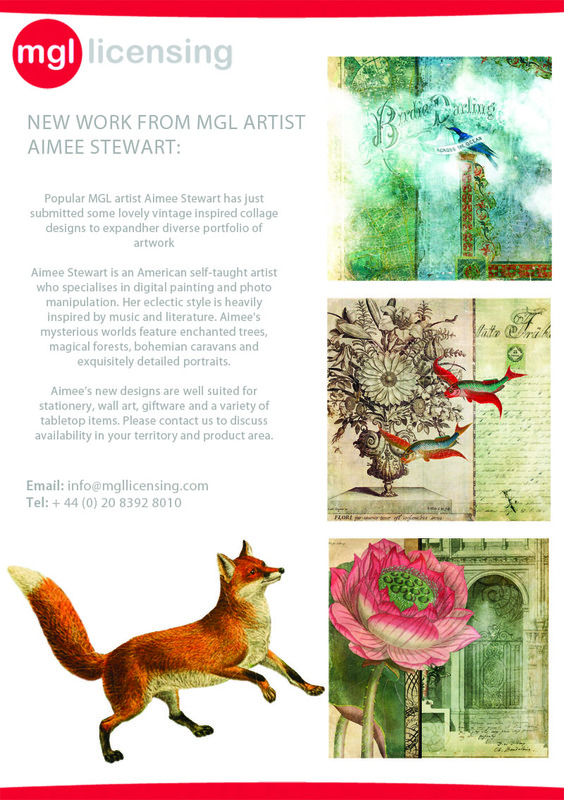 Click here to view Aimee’s full portfolio. 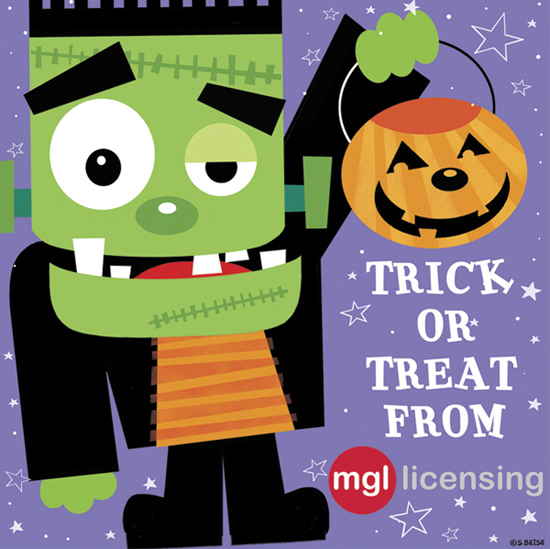 Wishing everyone a very ghoulish Halloween from MGL Licensing! This image has been taken Sarah Beise’s portfolio. Click here to see the whole collection. Wishing everyone a very Happy Easter from MGL Licensing! This image has been taken Mindy Pierce’s portfolio. Click here to see the whole collection. As Pop Art makes a come back this year, MGL would like to showcase are own collection from John Mac and John Reilly available for license across a wide range of product areas. Contact us to check availability for your product and territory. This month’s newsletter features information on our upcoming trade show attendance, new artist Melanie Delon, new images from Greg Cuddiford and Simon Kayne, and the latest Valentina Ramos product concepts. MGL would like to wish you all a Happy New Year! MGL are pleased to announce the signing of new artist Melanie Delon. Melanie lives just outside Paris and has been drawing from a very young age. Her work has been published in several magazines and she has worked with a number of well-known publishing houses. Seamlessly mixing classical style and fantasy, Melanie had developed a beautiful portfolio of work which is now available to license. Please click here to view a collection of Melanie’s work, or contact us to view her full portfolio. Greg Cuddiford has recently added to his collection with a number of new images. For the past 15 years Greg has specialised in animal photography with his images being published worldwide on products; jigsaws, back to school stationery, fashion accessories, calendars, greetings cards, magazines and books. Please click here to review Greg’s full image collection. The son of a photographer, Simon had a camera in his hand from an early age and was processing his father’s 10 x 8″ transparencies by the time he was 14. After building a career in photography he now works from his studio in Kent and specialises in floral portraits and landscape photography. His work is perfect for for calendars, greeting cards, posters and more. Please click here to review a collection of Simon’s work, or contact us to view his full portfolio. Our licensing partner in Middle East has just submitted a new collection of back to school products featuring Valentina Ramos’s art work. 2012 was a great year for Valentina’s licensing career and we hope to see more for 2013. We are now looking for more textile, gift and homeware partners in selected territories to increase her range. Please click here to review Valentina’s full image collection.